Jeannine Williamson tries a new concept in bespoke spa treatments aboard the ultra-luxury Silver Muse. Chocolate orange, tangerine, vanilla, apricot, ginger and mint: an enticing menu, I’m sure you’ll agree. And although I’m not exactly dressed for dinner – clad in a brand new ﬂuffy towelling robe and slippers – it gets my taste buds tingling. Alas they will be disappointed, but there are treats in store for the rest of me as I settle into the Mood Room in the Zagara Spa on Silver Muse. Launched in April, Silversea’s new ﬂagship is filled with all kinds of innovative touches – not least in the spa, where familiar scrubs, rubs and massages are supplemented by exotic ingredients and new “freestyle” treatments. Zagara is run by Steiner, which operates spas on more than 125 cruise ships worldwide. 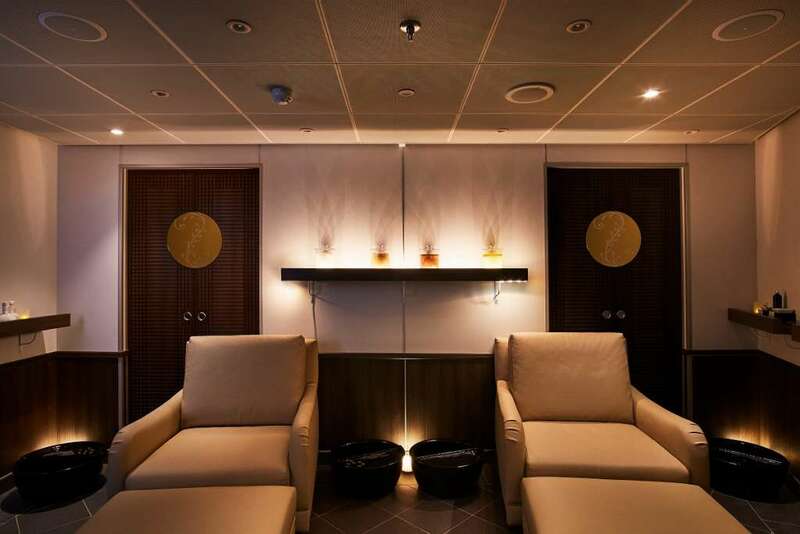 But the treatments aboard Silver Muse are reassuringly bespoke, and you’ll never get the feeling (not unknown in seagoing spas) that you’re on a pampering production line. Italian-owned Silversea has named its spa after the blossom of the citrus trees that scent the Amalfi coastline, but the menu ranges far and wide, from the Elemis Thousand Flower Detox Wrap, combining nutrient-rich soil from Somerset and green tea seed oil, to technology-driven Biotec facials and an Amethyst Crystal Sound Bath that incorporates infra-red light. Medi-spa treatments include Botox and fillers, along with acupuncture and traditional Chinese medicine, while for the gents there is a barber shop offering facials, shaving services and manly manicures. 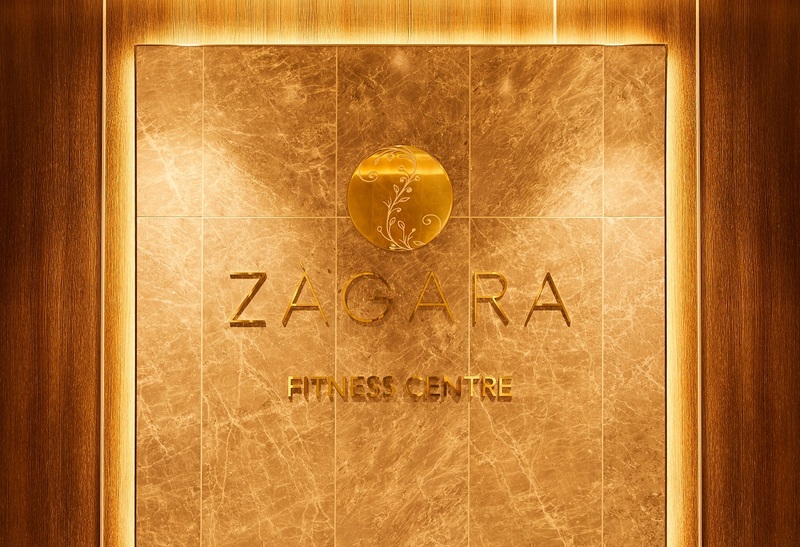 With no fewer than nine treatment rooms, Zagara is open from 8am to 8pm daily, with later appointments available up to 10pm on request – and for those who feel more energetic, there is a well-equipped gym with personal trainers on hand for individual sessions. “rebalance”. My selection then determines everything that happens in the ensuing hour, from the lighting in the treatment room to the aromatherapy scent in the air, the massage oil and so forth. I start to dither, as the descriptions matching each frame of mind all sound appealing and I’m unsure whether I want to feel soothed or super-charged. But after discovering that I’m a journalist with deadlines to meet, Jakeline makes the decision for me, and I head down the relaxation route. As the lighting in the Mood Room turns to a gentle blue, she brings a pebble dotted with lavender oil and invites me to inhale the scent to make sure I like it. Meanwhile, a soothing seascape fills the video screen. In the dimly lit, lavender infused massage room Jakeline hands me a small box, and explains it’s for my jewellery – another thoughtful touch that I’ve not come across before. As she gets to work against the backdrop of restful music I’m already starting enjoy the feeling of a truly personalised treatment. Not everyone wants to be massaged to the sound of orcas, lapping waves or tinkling bells, and it’s a great idea that passengers can opt for more upbeat tunes if they want. Another issue with the cookie-cutter approach you find in some spas is that therapists never spend as long as you’d like on the places that need it most. But in the Mood Room Jakeline asks if I have any areas I’d like her to focus on (sore back, shoulders and aching calves, please) and then she does just that. The result is one of the best massages I’ve ever had. Jakeline is also attentive and charming throughout, and doesn’t try to sell me products, simply pointing out that the oils she’s using are available in the shop. At the end, she brings me a lovely cup of peppermint tea. Later that evening, in an attempt to hold on to my blissful state for as long possible, I try to channel my newfound inner Zen into my choice of cocktail. Perusing the list of Asian-inspired drinks, one immediately catches my eye – Fountain of Youth, mixed with vodka, pomegranate and lemon juice. I wouldn’t exactly say that it lived up to its name (now that would be a story) but it tasted sensational and felt like the perfect way to round off a day of total treats for all five senses.